There are so many of these 10-Stitch projects going on right now in blog-land that I decided it was time to try my hand at it too! 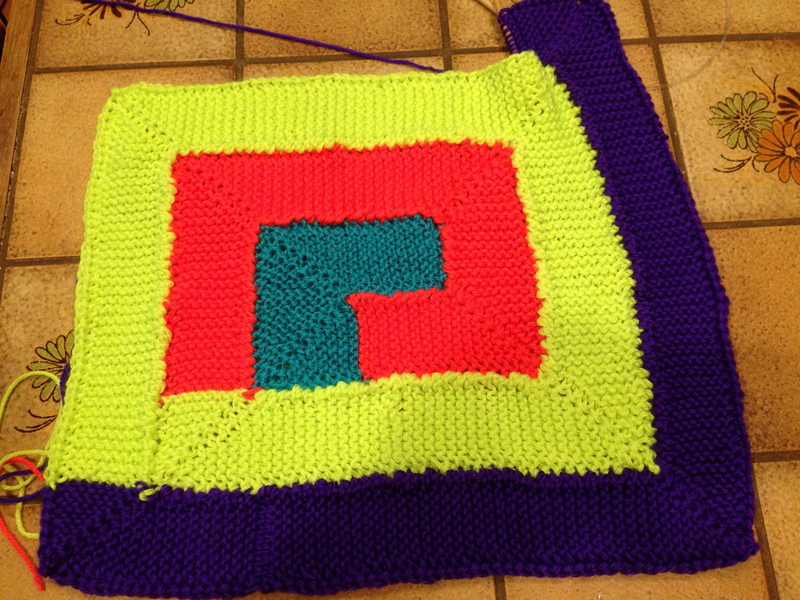 This is the 10-stitch blanket pattern by Frankie Brown. I know that I don’t have the staying power to complete another blanket right now, so after a couple of more rounds this will be turned into a pillow. You can never have too many pillow, right? I am also trying out a new-to-me yarn dyeing method. 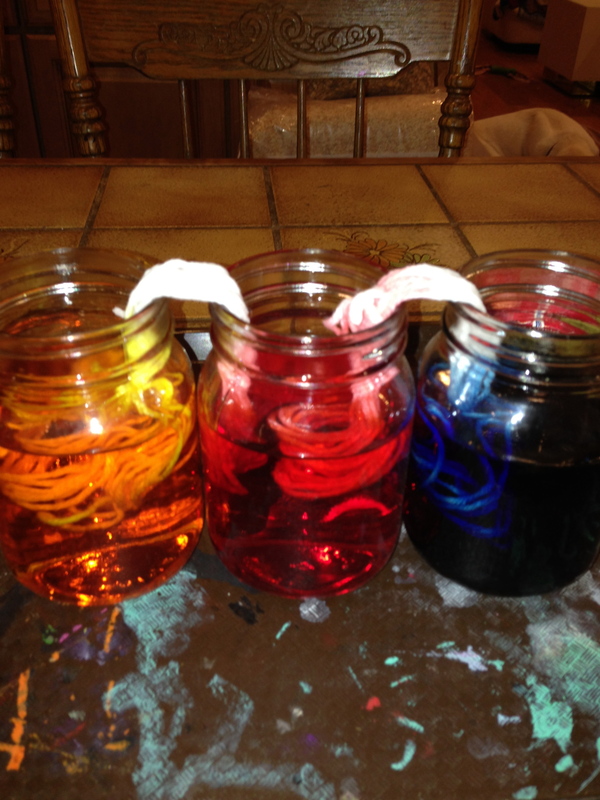 I made three different dye baths with food color – hopefully it turns out nicely and I can do it with my students next week during weaving camp. New bounty from my garden!! 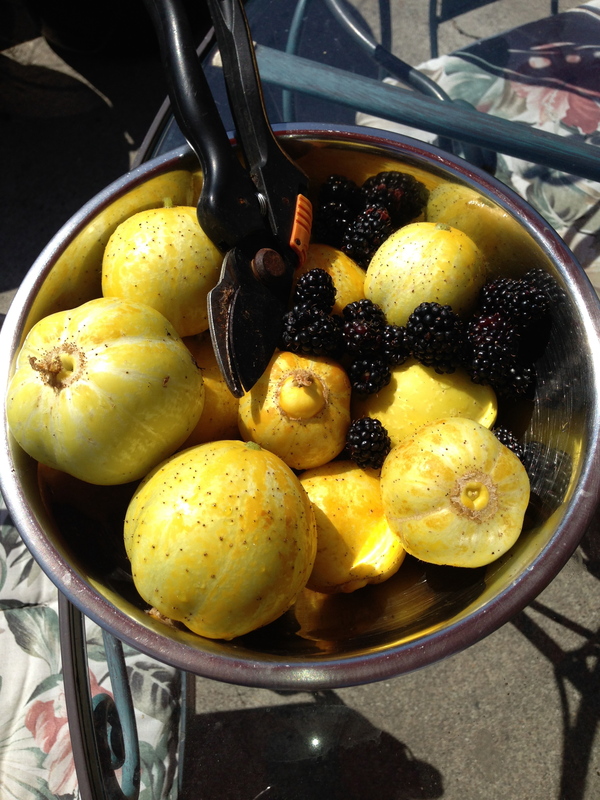 The blackberries are already history, but we still have a couple of the lemon cucumbers left. Fresh fruit and vegetables from the garden taste so yummy!! 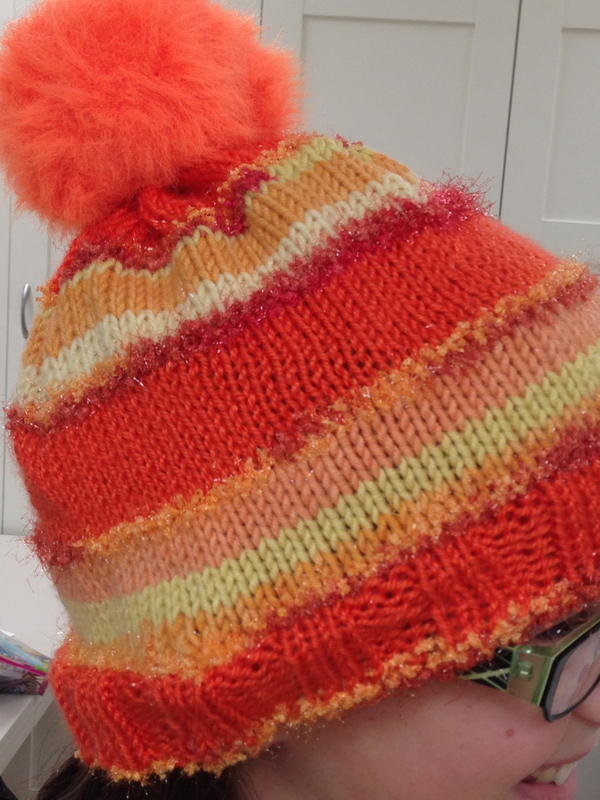 I finally finished the Keppi Hat after a little bit of a snag. My daughter loves it and I haven’t seen it since this photo!! However, it’s first finish wasn’t so successful. 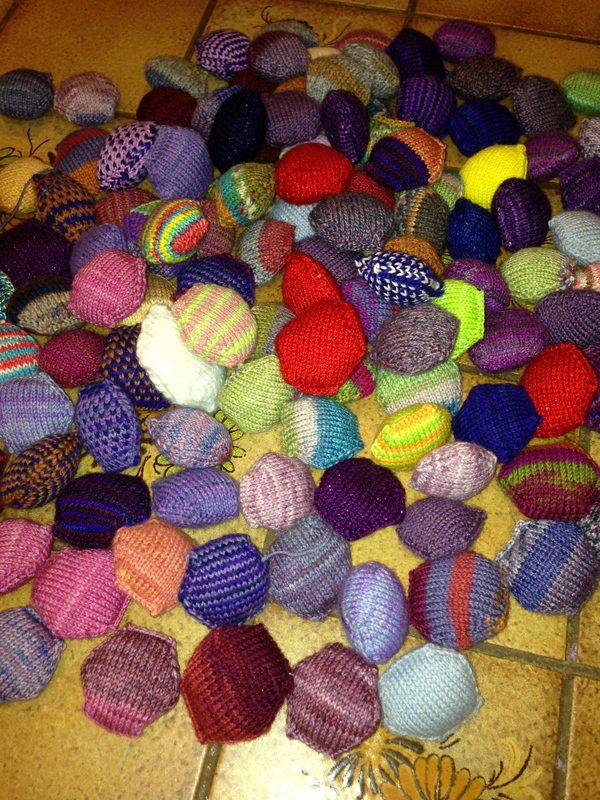 1 ball of Keppi yarn. 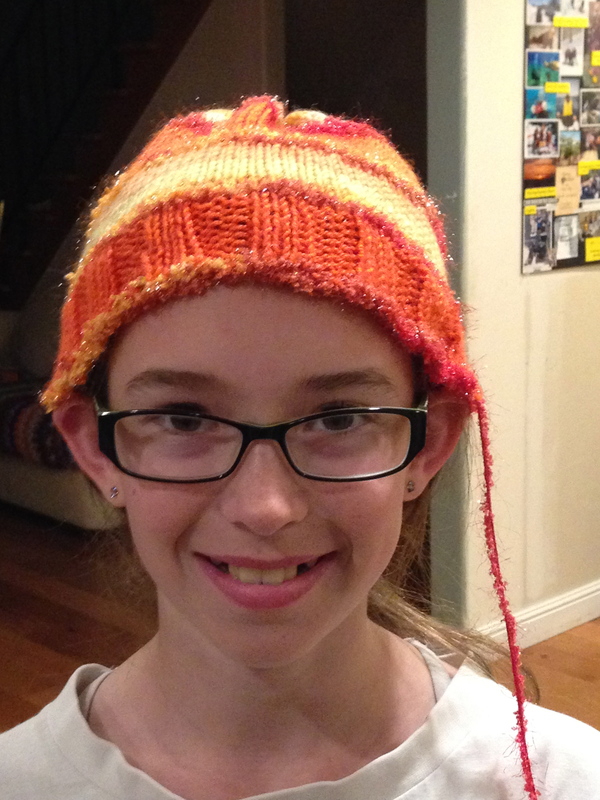 here is her 9 year old brother wearing the same hat. 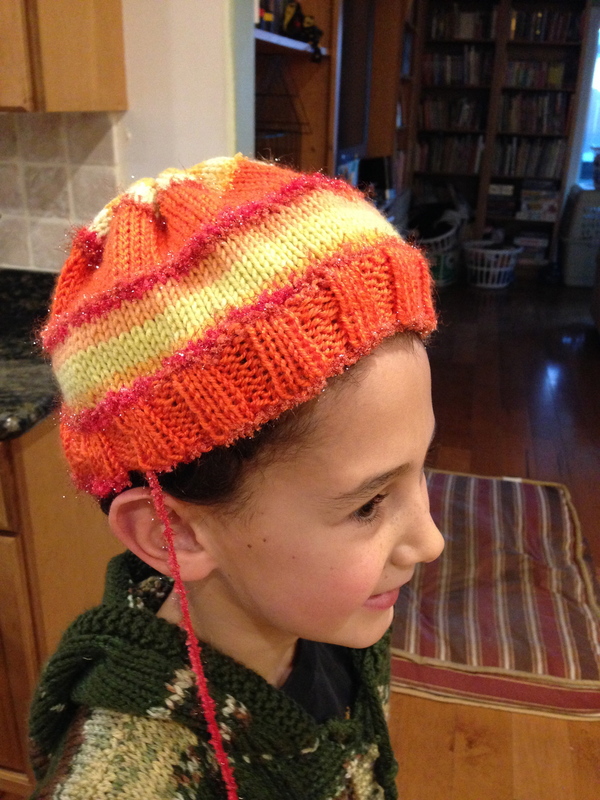 After knitting the hat (I actually went all the way and decreased and closed the top), I wasn’t sure what to do. 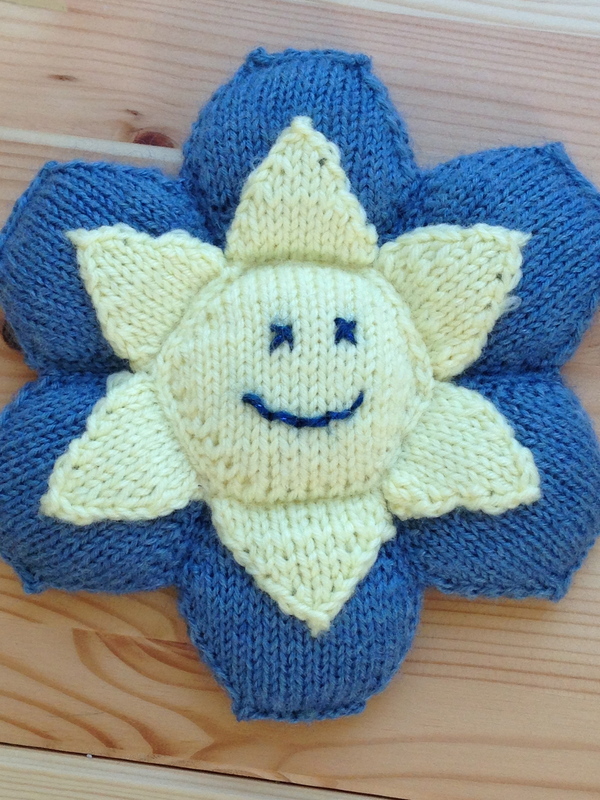 Should I just scrap it, should I take it out and knit something smaller that wouldn’t fit anyone in our family??? I decided to buy another ball of yarn, rip back and finish the hat. 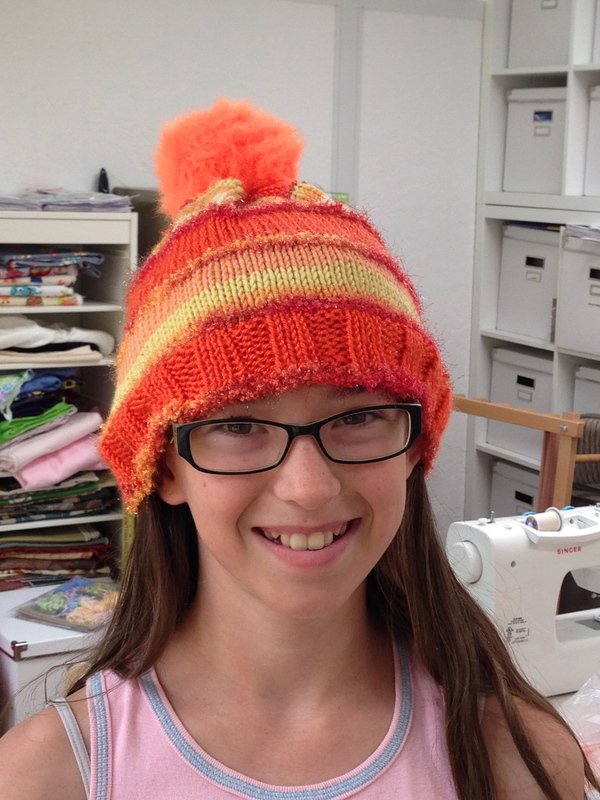 I’m glad I did because my daughter is sooo pleased, but I really dislike being told a project requires one ball of yarn just to find out that it needs more. Oh Well, all’s well that ends well! 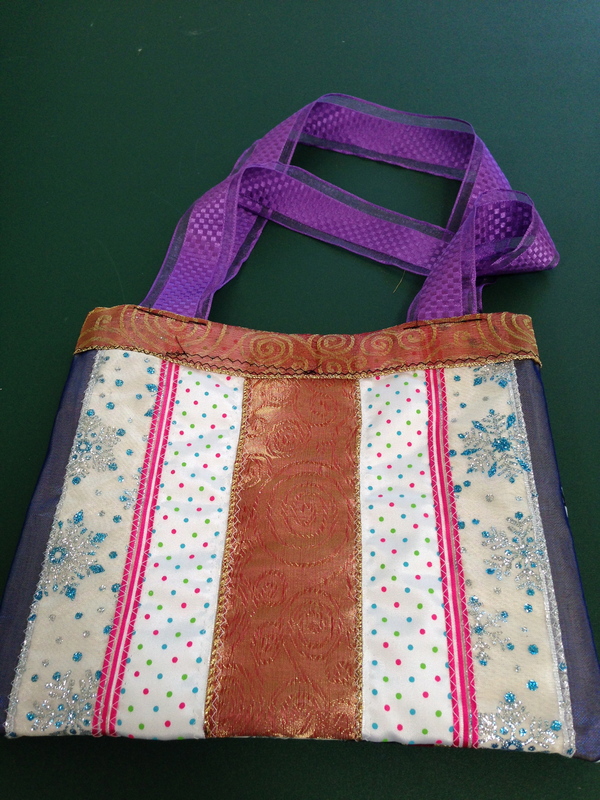 I created this super cute tote bag out of ribbons for my students. It’s something that they can put together relatively quickly, yet looks really great. 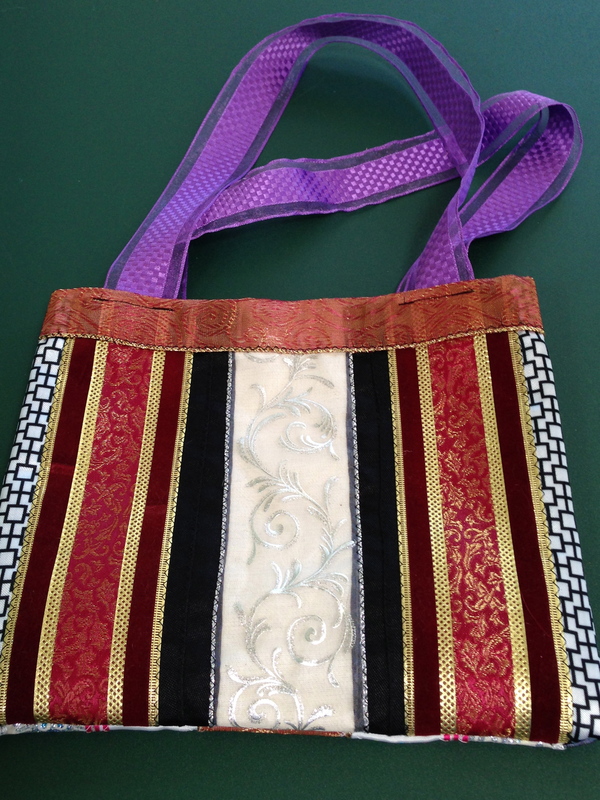 Both sides are covered in ribbon and the handle is also made out of ribbon. The first day I presented it, one of my students started making it!! I can’t wait to see how hers turns out. Ever since I started on this hexi puff adventure, I have had moments where I am knitting hexis like mad and then moments where I just can’t stand the thought of making any more. Right now I am on a “knitting hexis like mad” moments. I haven’t sewn any together for quite awhile, but this is where I was the last time. 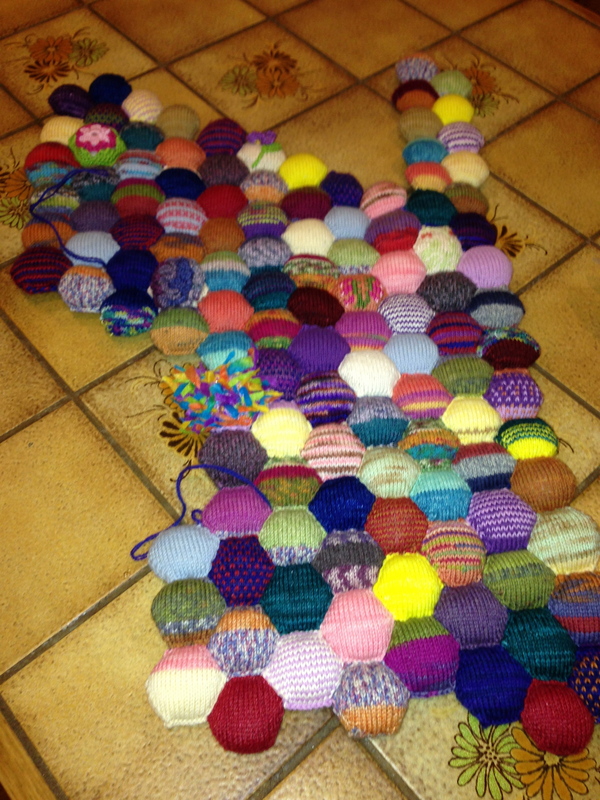 Here is the pile of hexi puffs just waiting to be sewn into the blanket. 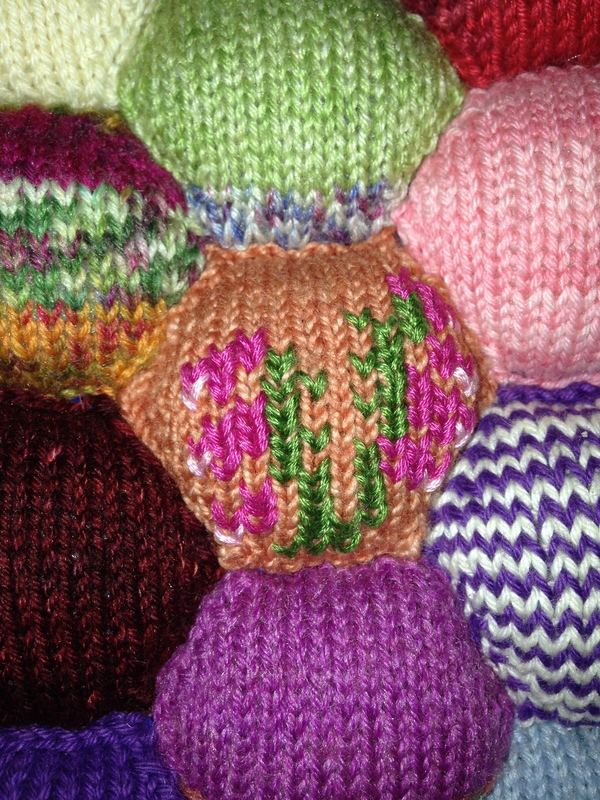 Some of them even have embroidery done on them :o) I am again having fun with my hexipuffs!